Hello everyone! How's your week? Busy as bee ba like me? It's always like this especially Christmas is almost here. Everyone is rushing with their work and on shopping for their gift list. Speaking of gift list, have you completed yours? Don't worry because they are so many Christmas sales that happening now. 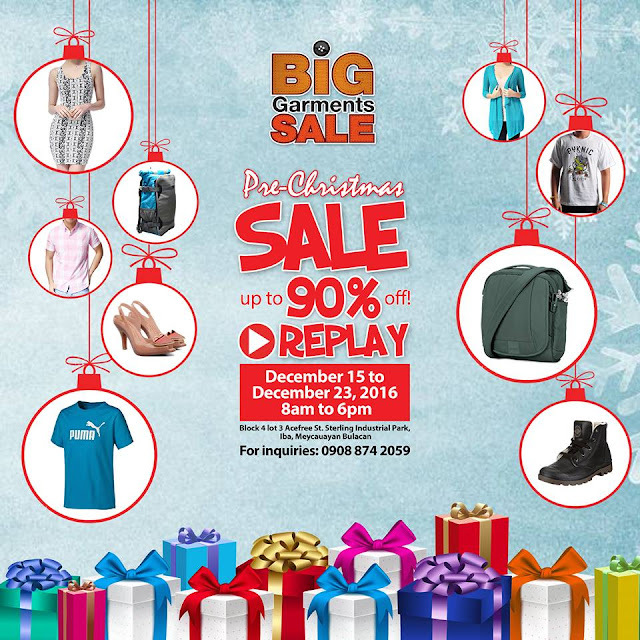 One is the Big Garments Pre-Christmas Sale that's happening from December 15 to 23. There are many branded clothes and stuff to choose from to complete your Christmas gift list. Check our Big Garments Sale October Loot. If you are looking for toys for your inaanaks, Toys R Us is having their weekend sale too. 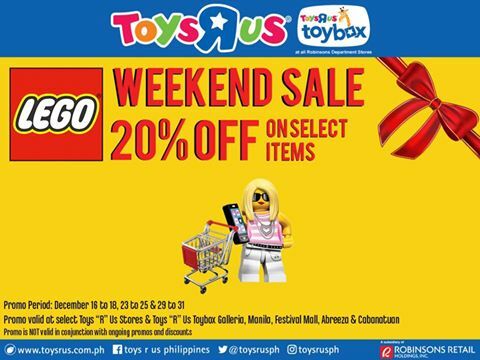 Avail LEGO toys at 20% off. Online sites are having their online revolution too. Christmas sale and great deals are everywhere, I must say. So don't worry about your gift list your budget instead, haha.